How do you keep Children entertained at the wedding? Here’s the answer!! 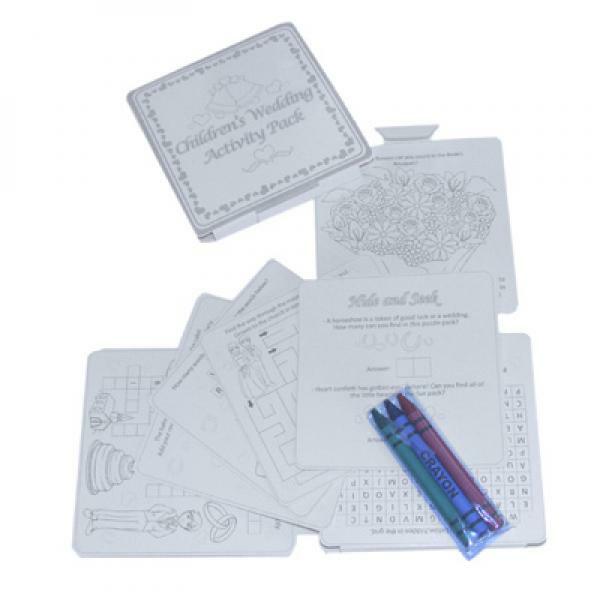 Our 12cm x 12cm fold out children’s activity pack contains lots of games and puzzles to keep them amused. Comes with coloured crayons. 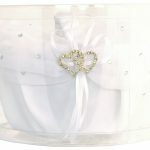 White flower girl basket with diamonds ribbons and double heart charm. 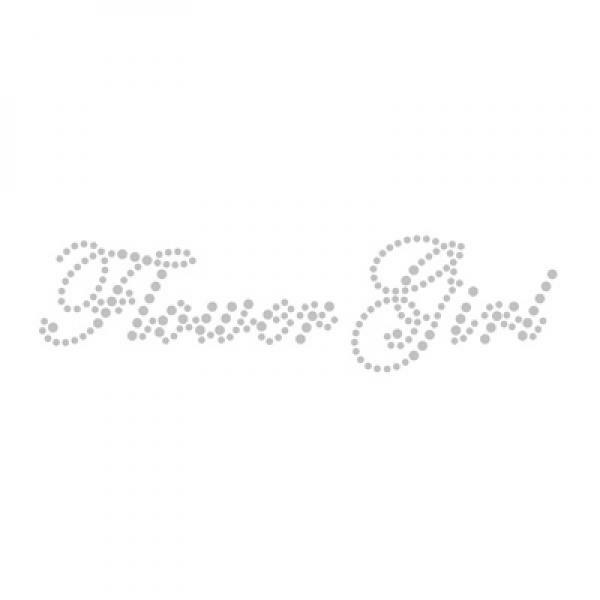 Flowergirl transfer size 15 x 4 cm. DIY iron on transfer, peel off backing, lay on T shirt, cover with cloth, iron in place. A cute glass for the flowergirl. 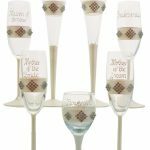 This glass is the same design as the other featured female design but a smaller glass to suit a little girl. 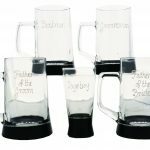 A Pageboy glass in the same style as the big men in the bridal party. All handmade with black and silver trim. 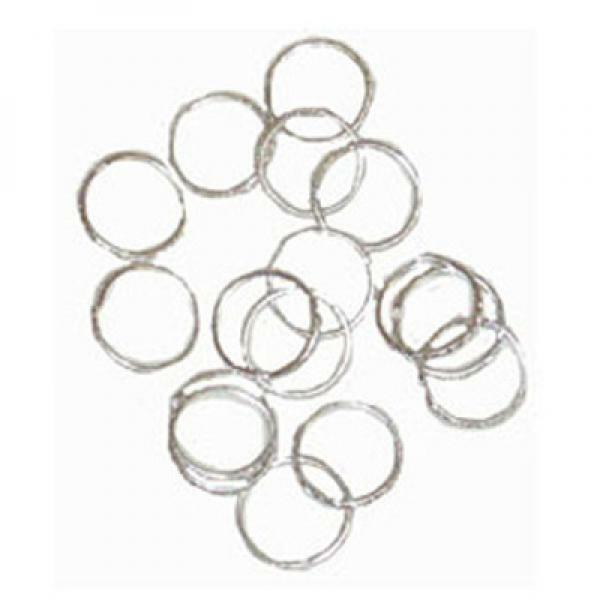 Set of 2 silver rings to sit for decorating the wedding cake. 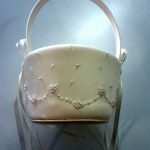 Can also be used as a substitute for the ring bearer pillow.